The Sylvesters grew an astonishing 80 different vegetable varieties on a single acre during their first year of farming. 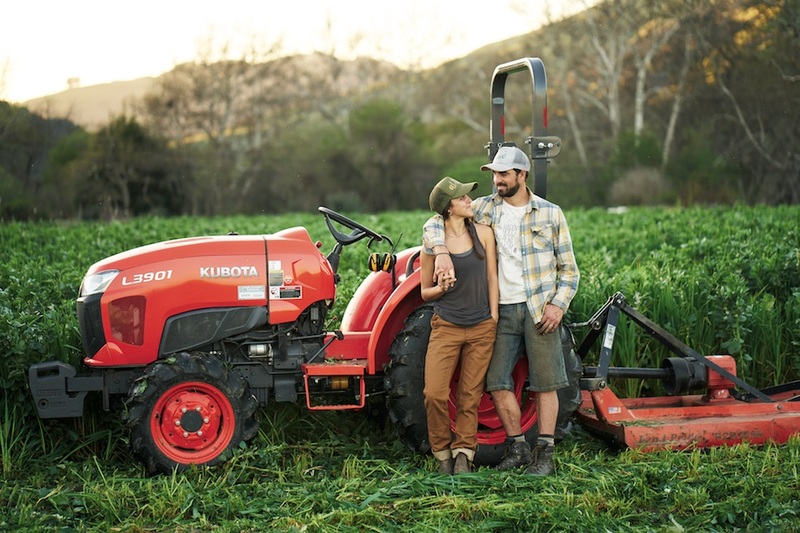 Helena and Matthew Sylvester of Happy Acre Farm in Sunol, California. Many new farmers lease land instead of buying it. Few send rent checks to the government. Of another town. Helena and Matthew Sylvester’s organic produce outfit sits within the Sunol AgPark, created by the San Francisco Public Utilities Commission 12 years ago to provide sustainable growers in the metropolitan area with affordable acreage. The end goal: keeping food local, despite the region’s continuously skyrocketing real estate prices. (Palo Alto and the Googleplex lie some 30 miles west.) The Sylvesters have certainly delivered, wresting an astonishing 80 different vegetable varieties from a single acre during their first year, 2014. “It was insane,” recalls Helena, 30, who describes her then-self as “deadset on farming” and 33-year-old Matt as “not yet convinced.” The two have apparently bridged that divide, marrying on the farm in 2015. They’ve also forged bonds with other tenants. “We’ll go in on equipment, splitting the cost, or we borrow stuff in a ‘you break it, you fix it’ arrangement,” she explains.